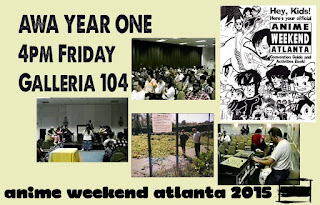 Next weekend is the 21st annual Anime Weekend Atlanta. Back when we started the show in 1995 we never figured it would get as big as it has or last as long as it has, but we've been pleasantly surprised every year at its continued popularity and growth. And as usual the second half of my summer has been occupied by arranging and coordinating and editing and photoshopping and emailing and generally getting ready for the show. Add to that a late summer trip to NYC and all the general activities of life, and you can easily see why posting here at Let's Anime has been very light of late. Well, I promise that the minute I get done with AWA I'll be right back here working on new and interesting Let's Anime posts for you! In the meantime here's what I'm up to next weekend. 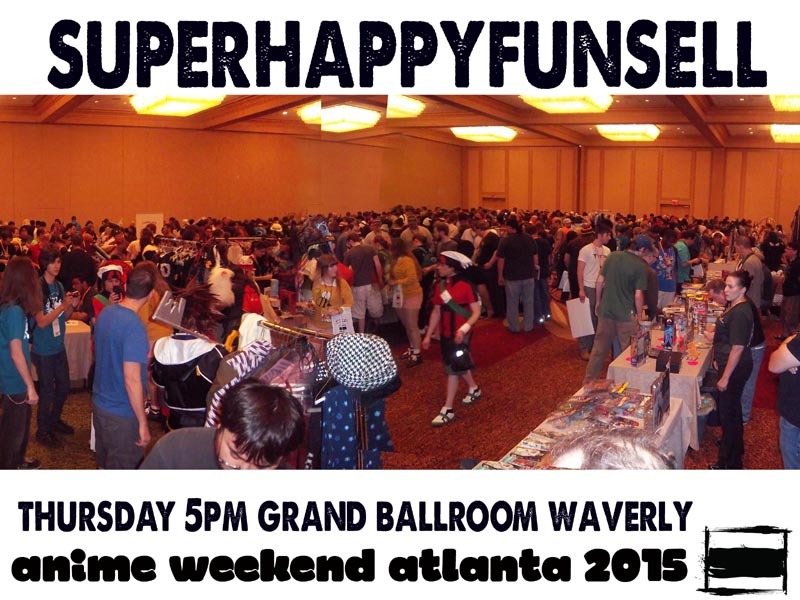 Thursday night it's time for AWA's popular yard-sale swap-meet garage-sale event, the Super Happy Fun Sell! The room swarms with speedy bargain hunting as fans clean out their closets of anime and manga collectibles to begin the cycle of consumerism anew. Bring money! On Friday, Darius "Fandom Post" Washington and myself and other AWA veterans will take you through the past of 21 years ago as we started the AWA anime-con locomotive into forward, seemingly unstoppable motion. 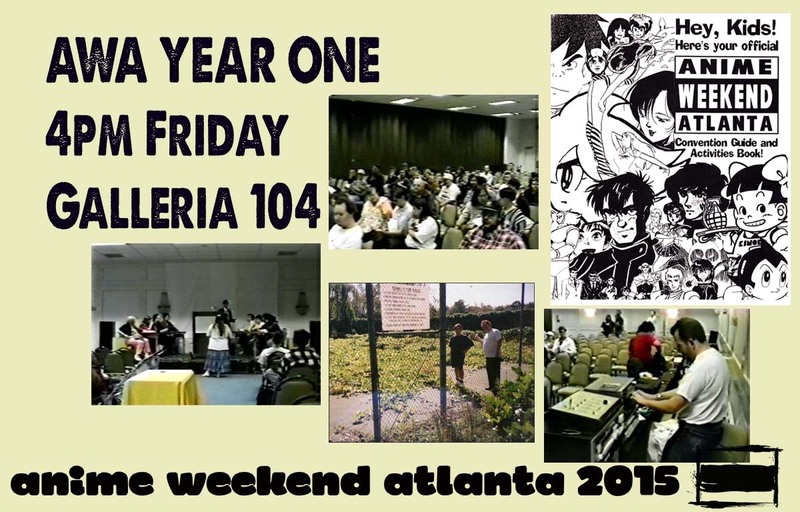 Find out what was shown in the video rooms, how many Sailor Moons were in the costume contest, what the deal was with that so-called 'tennis court', and the final fate of AWA's first hotel, the infamous Castlegate! 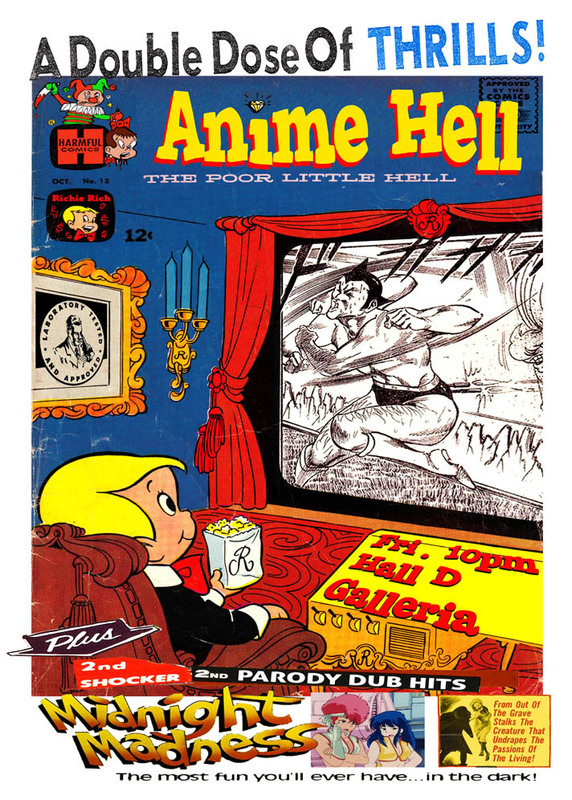 Later Friday night it's time once again for Anime Hell, the popular flippety-floppy confuse-o-vision event that promises to astonish and entertain. It's preceded at 8pm by Neil "Dog Soldier" Nadelman's Totally Lame Anime and followed at 12:08 by Midnight Madness. 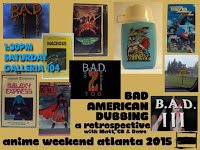 On Saturday, the Corn Pone Flicks gang is getting back together to spend a couple of hours taking you through their three seminal 1990s anime-culture documentaries, "Bad American Dubbing". See how annoyed American fans would work themselves into a frenzy of outrage at the liberties taken with their favorite Japanese cartoons - dubbing and editing atrocities that ironically were the first exposure many of these same fans had to Japanese animation in the first place! It's a time travelling trip of self-important mockery with Bad American Dubbing. Then on Sunday it's another time for reflection. We'll look back at what anime fandom was like thirty years ago in the dark days of 1985. How did anime fandom begin in the time before the internet? What sort of activities did these stone-age fans occupy their pre-Nintendo days with? And what was the difference between VHS and Beta, anyway? Join us for Class Of '85. That's what's in store for you at AWA! If you haven't already pre-registered, tickets are available on-site for all four days of anime-fan action, so there's really no reason to miss this one. See ya there!